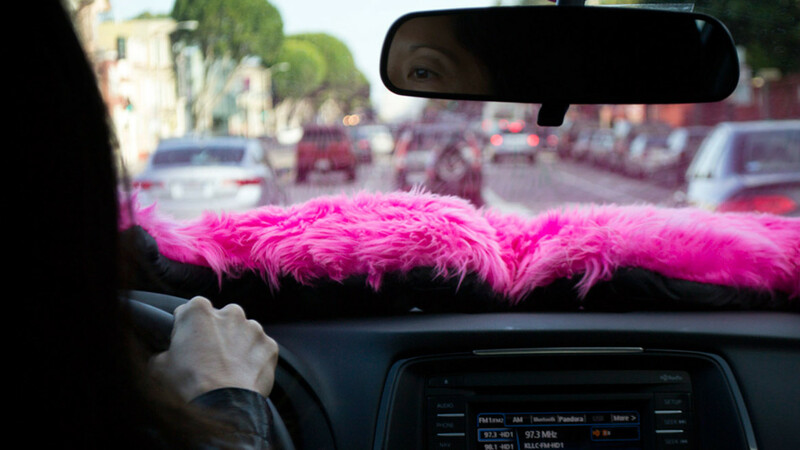 UberX, Lyft, and Sidecar drivers break rules a lot at SF International Airport. The San Francisco Taxi Workers Alliance (SFTWA), SF Yellow Cab, and Luxor Cab held a press conference Wednesday on the front steps of City Hall, to sound a warning about the renewal of San Francisco airport permits for Transportation Network Companies (TNCs), including UberX, Lyft, and Sidecar. The current permit expires August 31, 2015. The conference included a short video (above) which captures TNC drivers violating airport rules. TNC drivers are required to wait in a holding lot until they are pinged, but many of them troll the terminals or sit at the pick up curbs instead. That gives them an advantage over other drivers, increases congestions, and facilitates unlawful pickups. Commentary On Recent Draft Recommendations For San Francisco Taxi Medallion Reform. By Brad Newsham. WITH the deadline for ballot proposals just four days away, no member of the Board of Supervisors has agreed to sponsor the Stop the MTA Committee’s proposal: 1) Medallions for drivers only; 2) Allrevenue from the cab industry will be reinvested in the cab industry). Two supervisors have not yet given Final Answers, so the possibility of a late hero emerging still does exist, but even the most optimistic committee member now feels that the ballot option is at best a longshot. All supervisors have been sympathetic (how can one not sympathize with 5,000 cab drivers being forced to fund paychecks and benefits for 5,000 other MTA workers?) but sympathy does not get us on the ballot. The supervisor showing perhaps the most engagement on the issue is Scott Wiener, the Board’s leading proponent of improved cab service. In the past, every politician who has pushed for service improvements has wound up issuing a flood of new medallions, declaring victory (even though floods of new medallions have never solved the industry’s problems), and then leaving to run for higher office. Wiener promises that he is not that kind of politician. He says he is committed to seeing world-class cab service in our world-class City (so is the Stop the MTA committee!) and will not rest until he sees it. Money Makes Things Happen. And It Takes Money To Organize. So If You've Got It, Give It. By Brad Newsham. Yipes! The deadline for ballot measures is not mid-June – it’s May 22! 1) Medallions to drivers only; and 2) All money generated in the cab industry stays in the cab industry. And miracles do happen. Get this: Barry Korengold, president of the San Francisco Cab Drivers Association, led a delegation to the capitol in Sacramento on Tues, May 8, and dealt the MTA its first defeat since the MTA stole the cab industry. In 2010, the MTA approved the installation of taxicab cameras that continuously record every motion made and word spoken by all passengers with continual audio-video recorders. The American Civil Liberties Union weighed in: Illegal! The MTA threw up its hands: Nothing we can do. And the cameras kept rolling, recording every motion, and every word uttered by passengers and drivers, all of it accessible at whim by cab company managers. SFMTA To Hold "All Taxi" Board Meeting June 5, 2012. Message From Christiane Hayashi, Deputy Director of SFMTA Taxi Services. The following message was addressed to the Taxi Advisory Council and Taxi Services Staff on May 9, 2012. In anticipation of the “all-taxi” SFMTA Board meeting scheduled for June 5, there will be a Taxi Advisory Council meeting on May 14, to present and discuss the June 5 agenda and the medallion reform proposal that will be included on that agenda. There will be a follow-up Town Hall meeting on the same subject on May 22 at 1:30 and again at 4:30 pm in the 2nd floor Atrium conference room of the One South Van Ness building. We are working on posting the supporting materials for the meeting as soon as we can this week. Surely the San Francisco Board of Supervisors would immediately pass a resolution condemning such lunacy! But here’s a dirty secret: San Francisco’s MTA has drawn a line down the middle of its 10,000 workers. The Haves (bus drivers, parking and traffic police, office staff, mana-gers – 5,000 workers total) receive City paychecks; sick, vacation, and overtime pay; health care; and retirement. The MTA’s other workers, the city’s 5,000 cab drivers? Nothing.